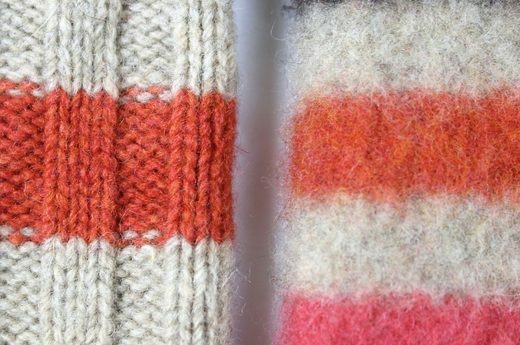 What better approach to upcycle a harmed, worn or generally pointless fleece sweater than by making something new and useful? Carefully assembled gloves accomplish this, and give a thrifty approach to keep hands warm and fingers accessible to content and sort. These naturally neighborly fingerless gloves are sharp and complimenting, regardless of whether they're worn amid crisp winter months, or in an icy, ventilated summer office. Check for gaps in the lower part of sweater sleeves; gaps end up plainly bigger amid the felting procedure. 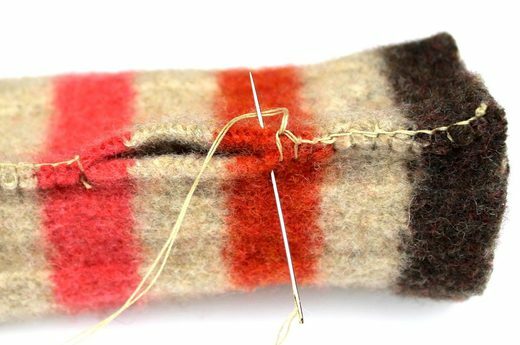 In the event that the sweater has no gaps, put it in a pad slip, curve the highest point of the pad slip, overlay it over around 5 inches, and firmly secure with an elastic band. The cushion slip gathers the fluff and build up shed by the sweater and secures the washer and pipes. 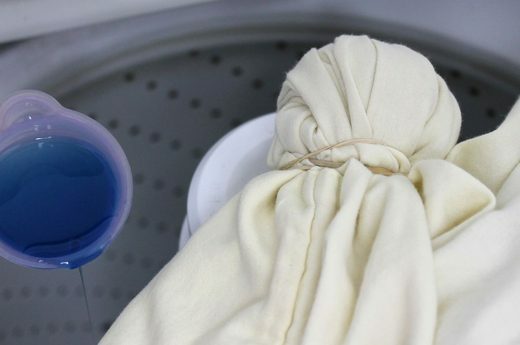 Wash in high temp water with 1/8 container cleanser and utilize the washer's settings that deliver the most unsettling in the littlest volume of water. 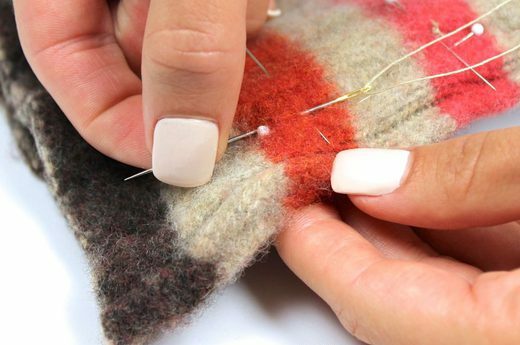 Fomentation causes the fleece strands in the sweater to firmly interface and contract, and makes a thick, warm, strong, felted texture for gloves. 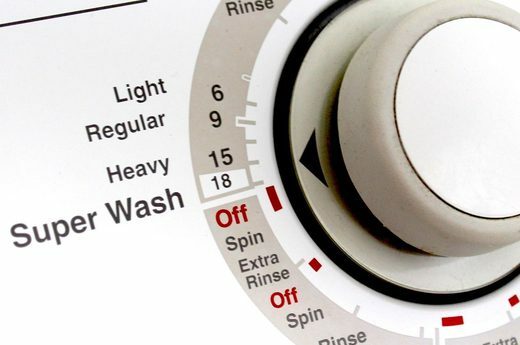 Stop the washer after the wash part of the machine's cycle and examine the sweater's weave for shrinkage. The weave turns out to be less obvious and the texture will be thicker and more full. Rehash the wash segment of the cycle until the point that the sweater is around 1/2 its unique size. Wrap up by running the flush cycle. Forcefully expel any substantial wads of fleece or fluff balls from the sweater. 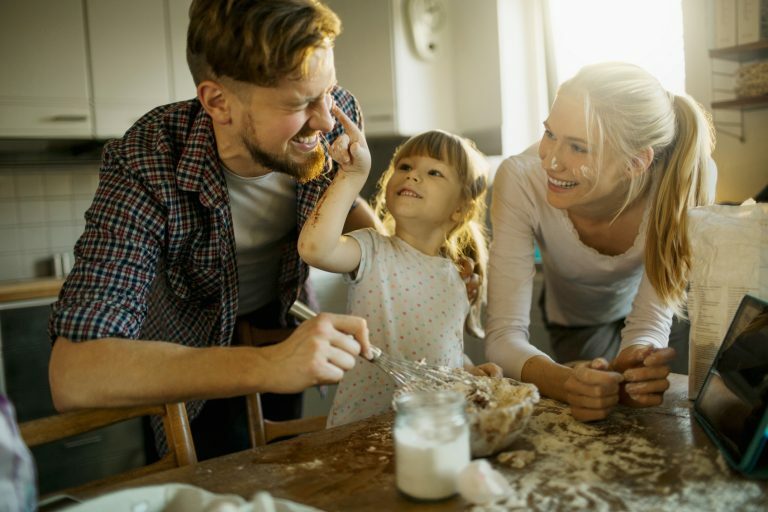 Expelling the fluff won't harm the fleece, and it will enhance its surface and quality. Tumble dry the sweater on high warmth. 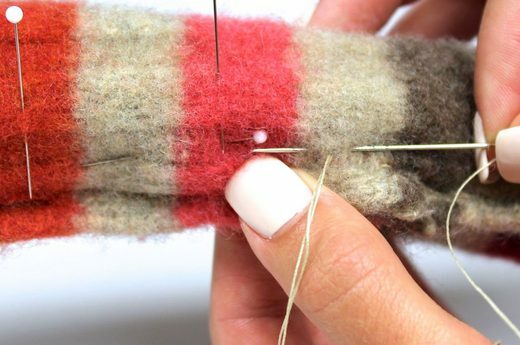 At the point when completely dried, pull extra fluff balls until the point that the surface of the fleece is smooth and even. 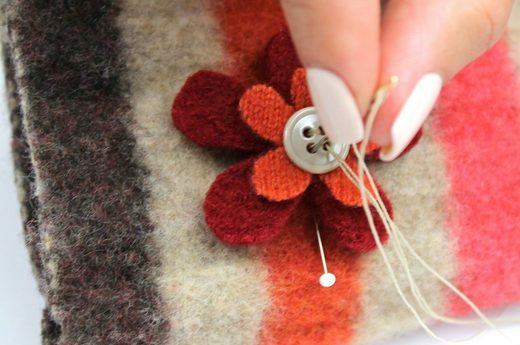 In the wake of felting, put hand into the sleeve of the sweater, inverse the typical bearing, and check it for fit. On the off chance that it fits, measure 7 inches (or wanted length) from the base of every sleeve and stamp with pins. 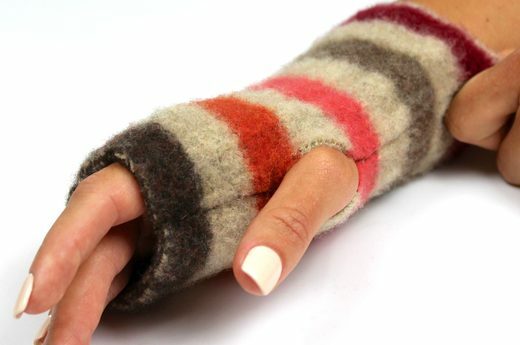 In the event that a bigger size is required, cut somewhat off of the sweater's wrist partition until the point that you can fit your hand and wrist easily through. In the event that, while checking fit, the sleeve as of now fits cozily, avoid the sewing steps. Just cut thumb openings between oppositely put sticks in the "Measure and Mark Seams" step (slide 10). 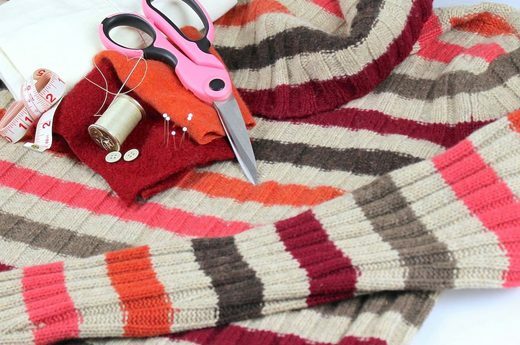 Remove every sleeve at the stick stamps and put aside whatever remains of the sweater. On the off chance that enough felted, the fleece ought not shred when cut. Kill each cut segment back to front. Place hands into the uncut finishes first and draw cut closures over the knuckles with the creases within. 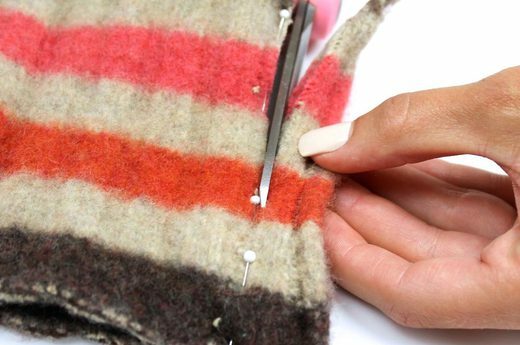 Squeeze the texture on the two sides of the crease together, cozily fitting to make gloves. Stick another crease line from the base to the highest point of every glove following the type of the hands. Painstakingly expel gloves leaving the pins set up. Check the finger and wrist end of every glove for reference. Make sure to make the gloves as alternate extremes: every glove is a perfect representation of the other. Choose where you might want to put your thumb gaps. This will fluctuate contingent upon the amount of your fingers you'd like your gloves to cover. Check the best and base of your thumbhole with two opposite pins on every glove. The space between the two pins ought to be around 1 - 1/2 inches long, contingent upon the measure of your thumb. Sew new creases that take after the pins put parallel to the first crease; begin at the wrist end of every glove. Utilize a straightforward running fasten, and stop the crease at the main opposite stick. Bunch and cut the string. Begin at the second opposite stick on every glove. 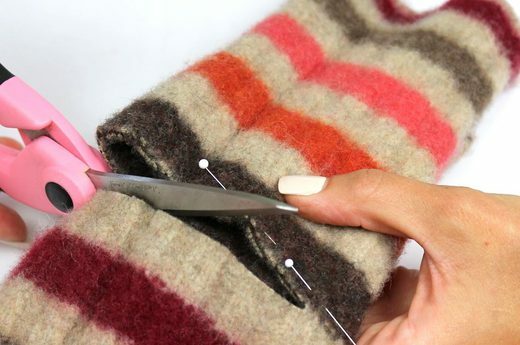 Utilize a basic running fasten, and sew to the finish of the finger divide on every glove. Bunch and cut the string. Trim the new crease on the two gloves shaping a characteristic thumb gap in the open space. Turn the gloves right side out and pull them onto each hand. Check the fit. On the off chance that important, stick, sew, and re-cut the gloves. At the point when happy with the fit, expel the gloves and turn them back to front. On the two gloves, sew a last crease for quality. Utilize the main crease as a guide, and resew the crease: a sweeping fasten works best. Try not to sew over the open segment that structures the thumb gap. Turn the gloves right side out. 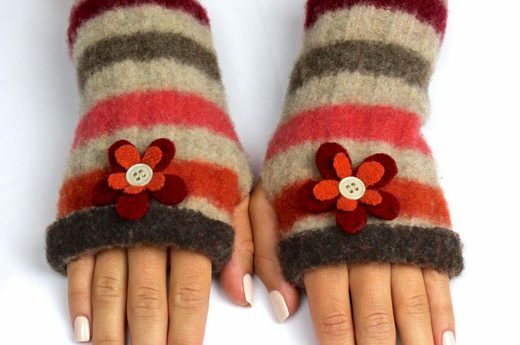 In the event that you'd like, you can without much of a stretch adorn your gloves by including felt blossoms (as appeared here) or by including enhancing glove ties the wrists (as appeared in the video highlighted here). 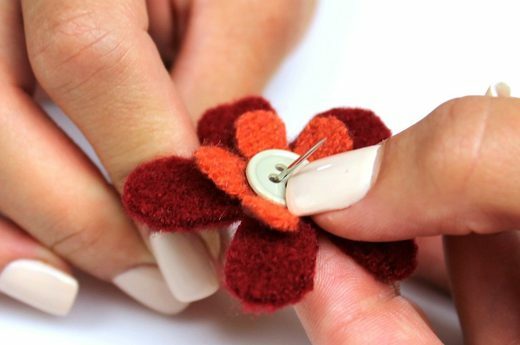 To influence blooms, to utilize fleece from different parts of the felted sweater or felt pieces of differentiating hues as appeared. 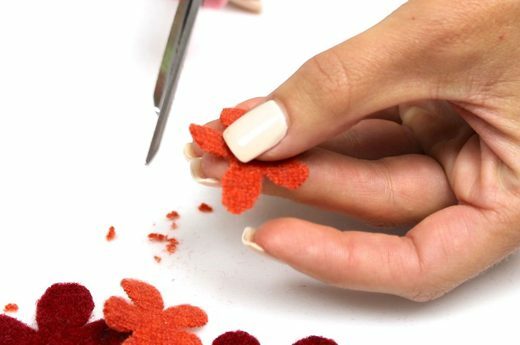 On the wrong side of the texture, draw and cut four blossoms. Two blooms ought to be somewhat littler than the other two. Turn the blossoms so the correct side of the texture is confronting up. Stack and adjust the blooms to the greater blossoms on the base. Place a catch in the focal point of each stack. Beginning from the rear, embed a needle with around 10 creeps of tied string through all layers of the bloom (counting the catch), and draw the string tight. Embed the needle back through the catch and bloom layers and draw tight. 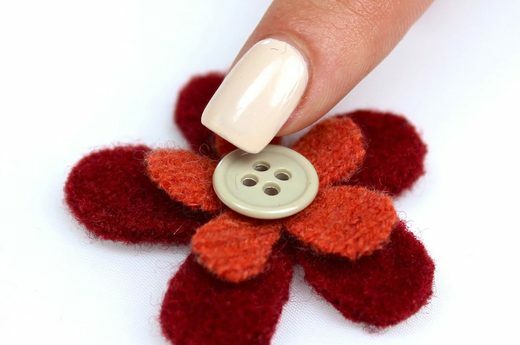 Secure the blossom by hitching the string on the posterior without cutting the string or evacuating the needle. Place blooms on gloves around 3 creeps from the finger end and focused on the highest point of every glove. Sew them safely to the gloves utilizing the needle string still connected to each bloom. Overlay over around 1 inch along the best edge of every glove. Tack set up with a solitary join on the best side of every glove and a solitary line on the base side of every glove. Gloves are finished. 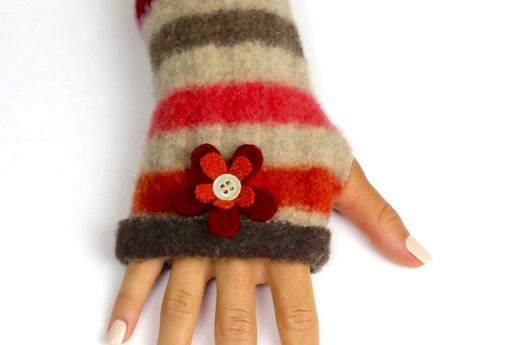 To make arm warmers rather than gloves, cut the sleeves longer, and take after similar guidelines.